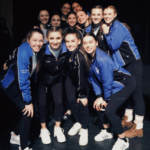 PSB & INTERPLAY Dance Company and Competitive Division students will compete in their second of back-to-back competitions! 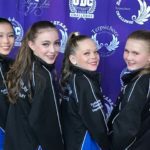 Terpsichore Dance Competition (Mar.1-3) starts tomorrow! Good luck to our beautiful dancers! 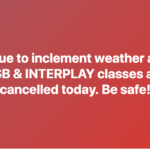 DUE TO INCLEMENT WEATHER, ALL PSB & INTERPLAY CLASSES ARE CANCELLED TODAY. PLEASE BE SAFE! Good luck to our beautiful PSB & INTERPLAY dancers performing in The Flying Solo Competition today and tomorrow! DUE TO THE FREEZING RAIN, ALL PSB & INTERPLAY CLASSES ARE CANCELLED TODAY. CLASSES WILL BE MADE UP AT A FUTURE DATE. BE SAFE! PSB & INTERPLAY locations will be closed for winter break from Sunday, December 23 through Saturday, January 5, inclusive. 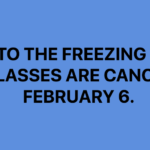 Classes resume Sunday, January 6. Have a wonderful and safe holiday season! 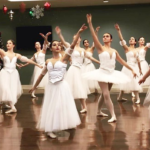 Don’t miss PSB & INTERPLAY’s performance of The Nutcracker Suite performed by the Profile Dance Company and Intensive Division students on Sunday, December 16, 11:30 am (PSB) and 2:30 pm (INTERPLAY), at The Betty Oliphant Theatre. For information and to buy tickets visit ontagedirect.com.